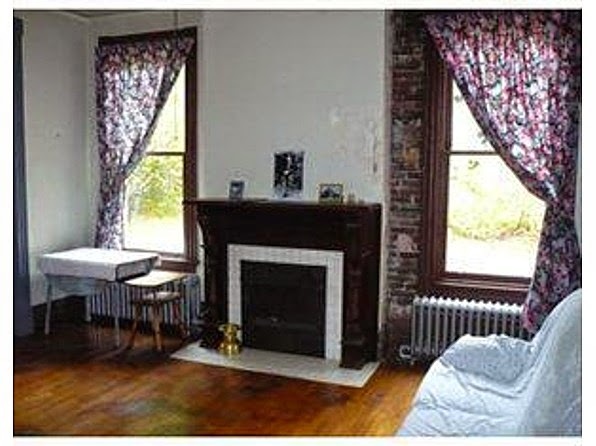 Before we left for Chicago a couple of weeks ago, a mantel showed up on craigslist. 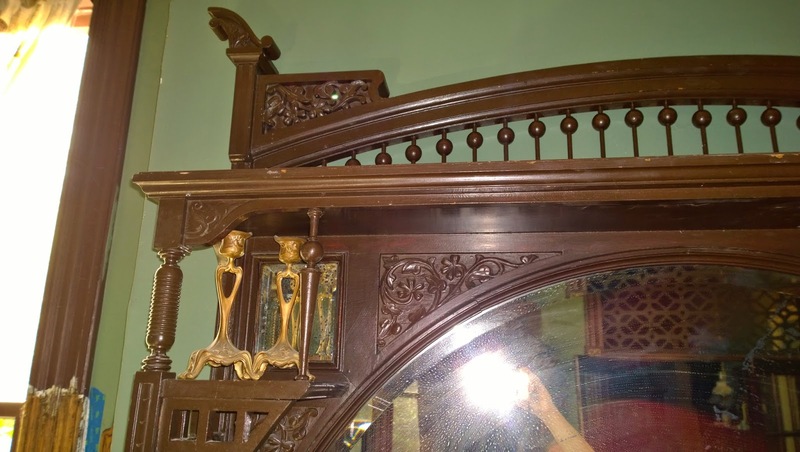 While the lower section was quite plain, the overmantel was a spectacular aesthetic movement piece with a rainbow shaped beveled mirror, fretwork and floral carving. My original overmantels were likely something similar (although ghost marks indicate they were substantially larger). The price was far higher than anything I could afford, but I sent off my usual e-mail then put it out of mind. After all, I had plans to hit all the salvage stores in Chicago and was hoping to find something to bring back. 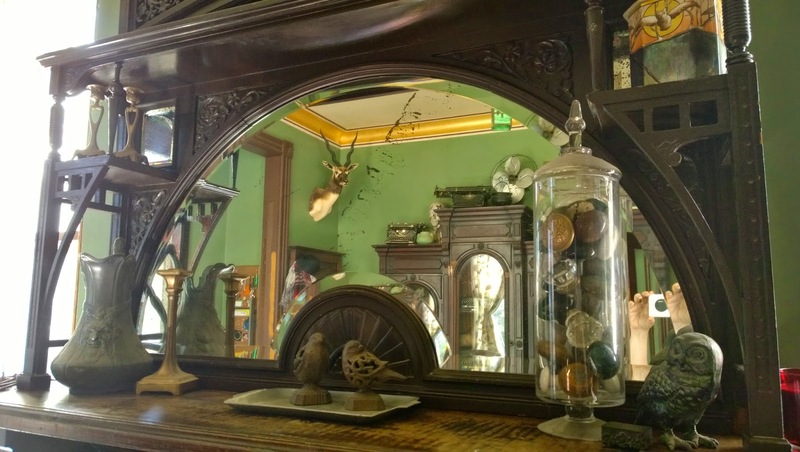 Well, the salvage yards, while great, had nothing to offer me, so I was amazed when just a week later the owner of the mantel accepted my offer. I was momentarily terrified when she said the mirrors would have to be replaced (I was certain they had been broken as the mantel was being removed, but luckily she just thought the foxing was undesirable. 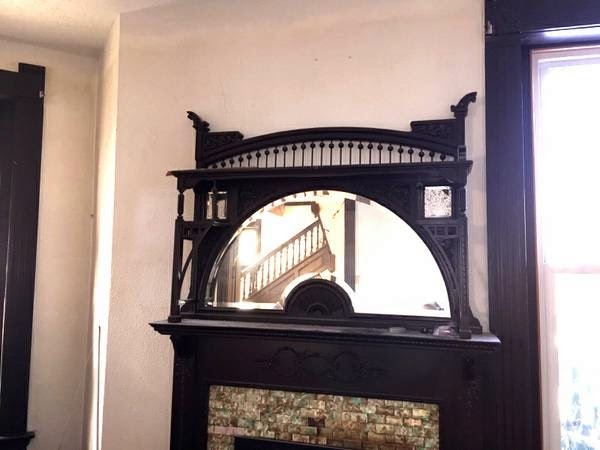 Having to replicate that mirror would cost more than I paid for the mantel! Now a disclaimer, I must have worn my camera out in Chicago because these pictures are terrible, but if I keep putting things off I swear I'll never post anything. Great score on the mantel ... and the tile is the icing on the (birthday) cake! I love how it looks in your room. I was positively giddy. 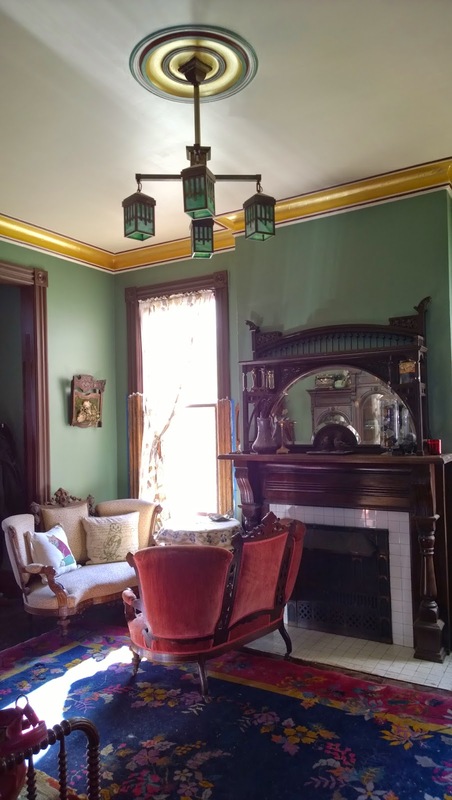 Now to finish stripping the woodwork and retile the fireplace (the tile is good AET tile, but it's still a colonial revival update that needs to go)! What a STUNNING mantle! I have never seen a mirror like that! CONGRATS!!! It means a lot to be that you approve Ross! It's not the biggest or the grandest that I've come across, but that mirror is without equal. Thanks! I can't help but stop and stare every time I walk through.